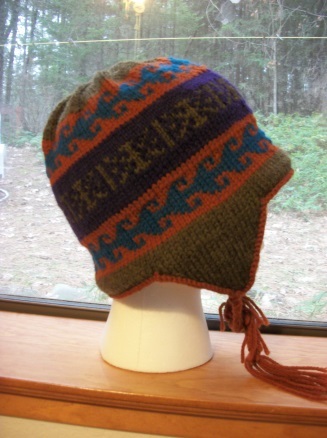 The Inca hat is a beautiful and colorful hat knitted using the stranded method. 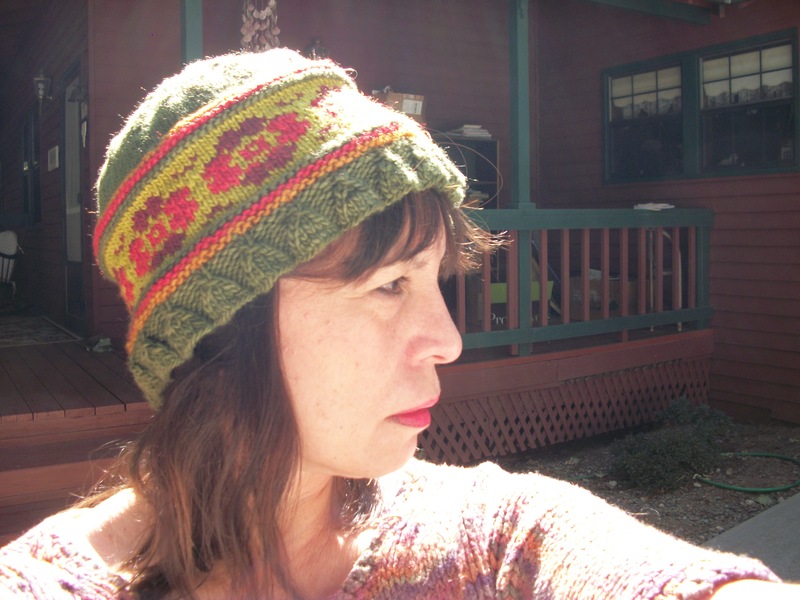 The Inca hat is a beautiful and colorful hat knitted using the stranded method. 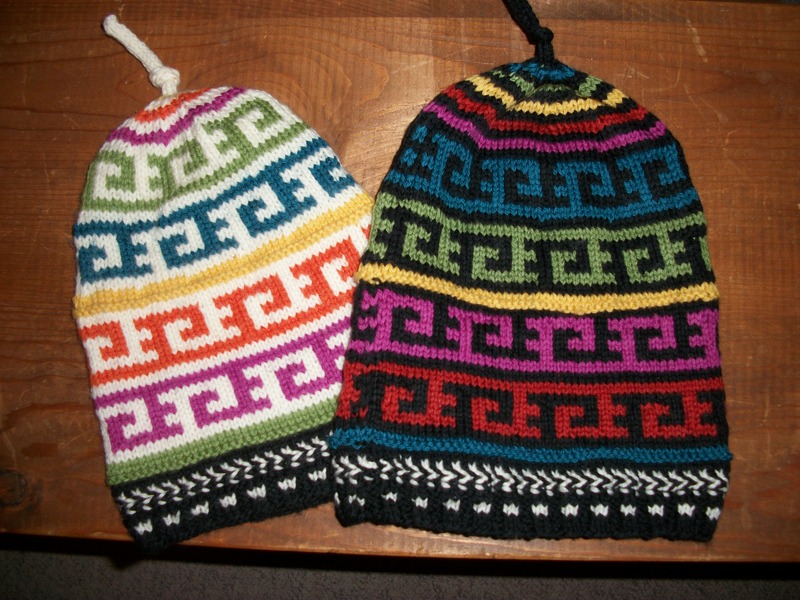 The natural background hat is in size 16” and the black background size 18”. 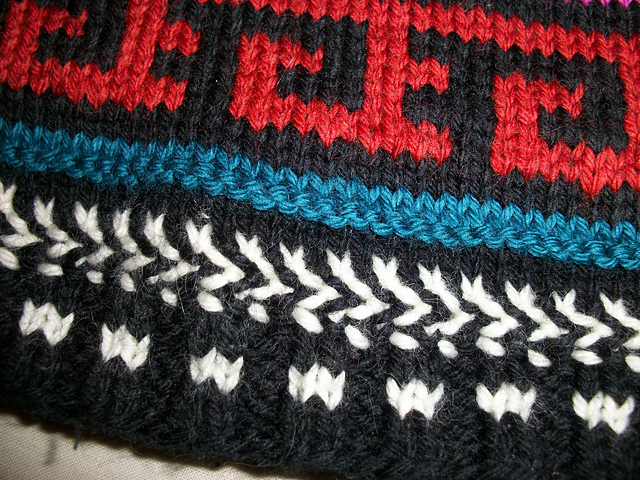 The hat starts at the bottom with a black and white corrugated rib, then a braid. 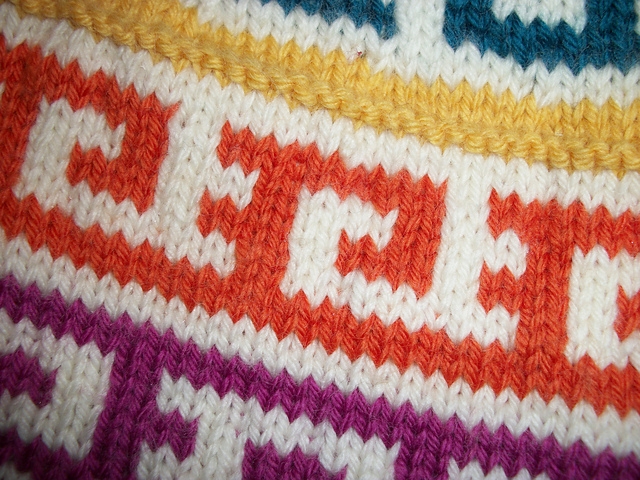 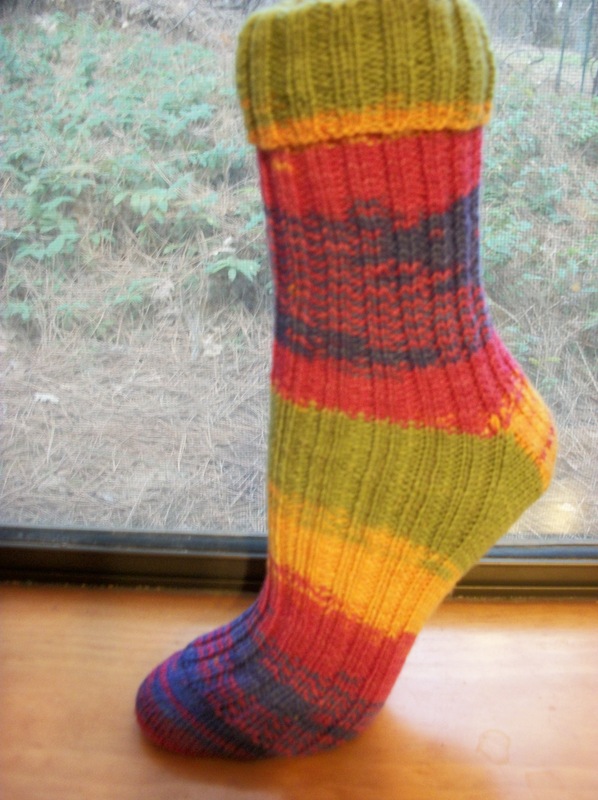 A tip on how to eliminate jogs when knitting colors in the round is included.